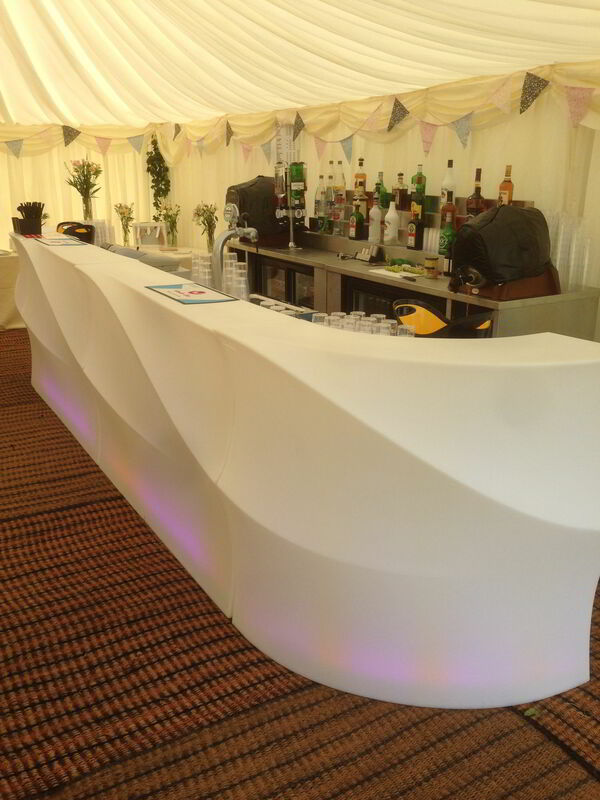 YOU WILL NOT FIND A BETTER BAR SERVICE FOR YOUR EVENTS THAN WONDER-BAR!!!!!! All the guys at wonder-bar were amazing and completely took away all the stress around the bar for our wedding day. We hired the Citroen van bar for our wedding and it was an amazing addition to the marquee setup. All our guests commented on how amazing it looked and how good the prices were. The boys come to our house weeks before the wedding and spent time discussing all our options with us. Nothing was too much trouble for them and at no point did we feel rushed into making decisions. They then produced a bespoke drinks menu based on what we had discussed. 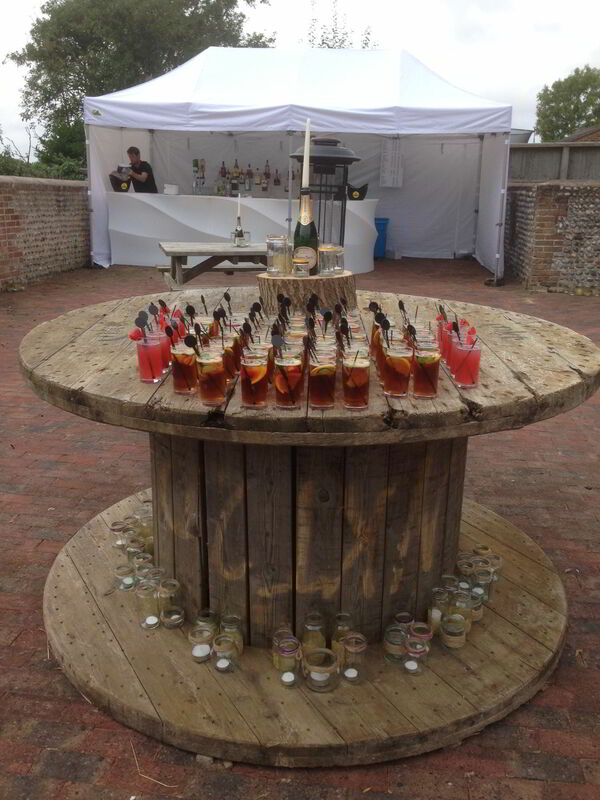 This was great as we felt like we had got the right drinks for the right event. (I even added a drink to the list very last minute, which of course was not a problem at all!). A great finishing touch for us was the personalised bar signage which stood proud and prominent on top of the van. We decided on “Hardwick’s Bar” and the date of the wedding. This looked great and was certainly the ‘icing on the cake’ for us. On the day the bar ran so smoothly. They never ran out of any of the drinks on the menu and they worked so hard all day (and night). An absolutely great business run by two of the nicest fellas you’ll ever meet. They will go far! I will certainly be using them again in the future and so will everyone I have spoken to. 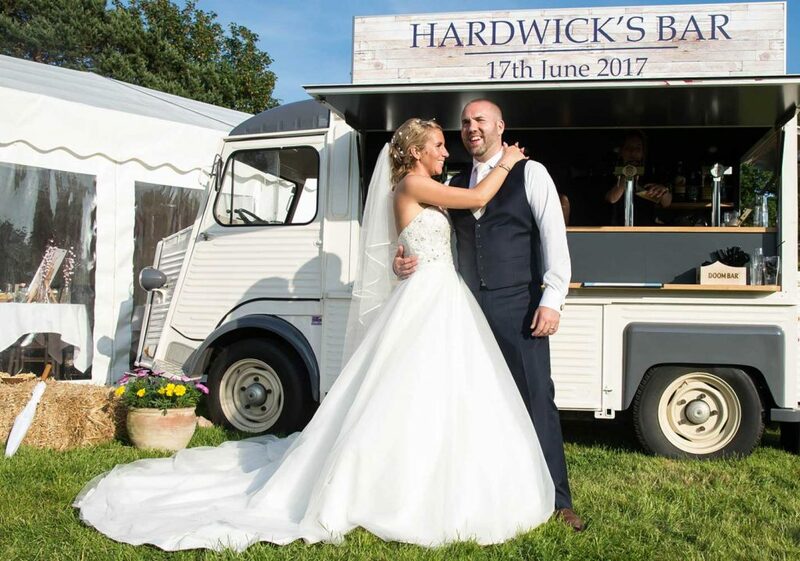 Mr & Mrs Hardwick – Private Marquee Venue, West Hoathly, East Grinstead. 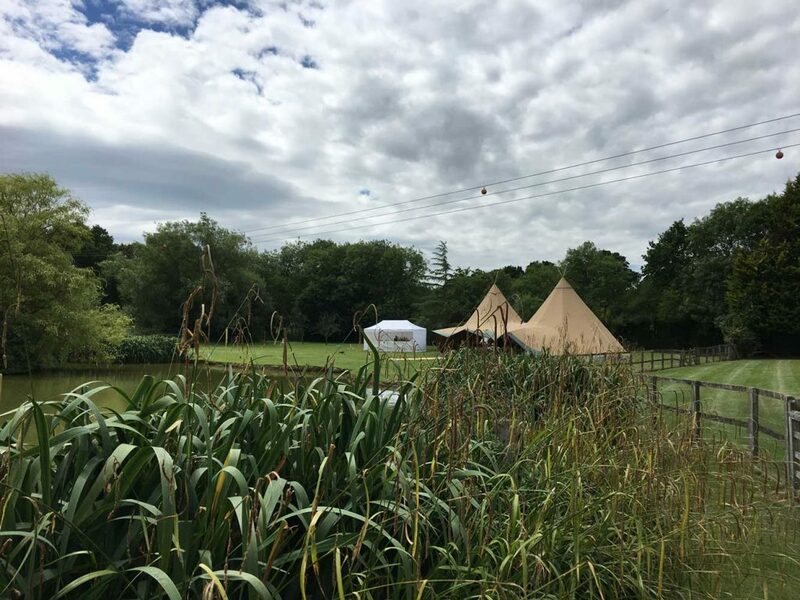 “My wedding was an outside event in a lovely setting. Wonder Bar were a pleasure to deal with no stress at all. All of the team are friendly and professional and gave us a fantastic service. 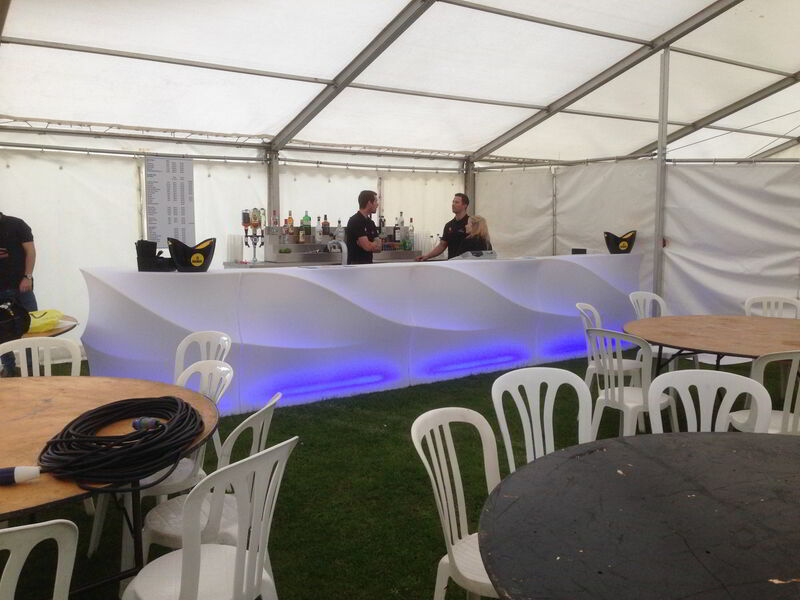 All of the staff were perfect and if you are looking to hire a bar with good prices then DO NOT LOOK ANY FURTHER. These guys are perfect for any event!!!!. Drinks were flowing all night. No pressure to purchase any of their own drink packages. These guys could not do enough for us. The bar itself is awesome lights up at night and the gazebo provided is clean and Modern. Mr & Mrs Sandiford – Four Oaks Farm, Hassocks. Mr and Mrs Wilkinson – Chilley Farm, Eastbourne. Mr & Mrs Funnell – Hankham, West Sussex. GLL Leisure – Wimbledon Park, London.